Q: Do you have a step-by-step guide to help me set up my experiment? Yes, you can find tutorials, tips and guides in our basic section and our application notes section. You can also check the User Guide available in the USB key you have received with your equipment to obtain objective information about how to prepare your setup. Q: What are the minimum and maximum pressures I can use at the inlet of my OB1? The pressure source should be at least 1.5 bar and not exceed 10 bar. Note that if your OB1 has pressure channels in the range of 2 bar and 8 bar, you should use a minimum pressure of 2.5 and 8.5 bar, respectively. Q: How stable should be the pressure source I use with my OB1? The pressure source does not have to be necessarily stable, but it should not oscillate around the pressure ranges of your OB1. For instance, an OB1 with pressure channels of 2 bar can be connected to a pressure source which oscillates between 2.8 and 3 bar. If the pressure oscillates between 1.8 and 2 bar the OB1 can experience reduced performance. Q: Do I need to calibrate my pressure controllers before using them? You can use your pressure controllers out-of-the-box, since in the absence of a previous user calibration, the devices use the default calibration values. However, in order to obtain accurate pressure values it is recommended that you perform a calibration before using the device for the first time. You can also recalibrate your device every time you think it is necessary, i.e. when the displayed pressure values are significantly different from the set values. Q: Do I have to recalibrate my OB1 if my pressure source varies with time? You do not necessarily need a recalibration if the pressure source for your OB1 has changed. If the new pressure source also fills the requirements (minimum pressure, maximum pressure and stability) your OB1 should work normally. Q: What type of tubing and connectors do I need to use to connect the Elveflow instruments, reservoirs, microfluidic devices, etc? Elveflow® provides its customers with a wide range of Microfluidic Kits & Accessories including tubing, connectors and all the elements required to easily set your microfluidic experiments. Q: I have an OB1 with an 8 bar output. What type of tubing do I have to use to connect it to the reservoir? We recommend using rigid 3/32’’ tubing for high pressures. Flexible tubing like Tygon is not recommended for pressures higher than 3 bar. Q: What is the procedure to cut the tubing properly? In order to avoid irregular edges we recommend to always cut the tubing on a smooth surface with the stainless steel razor provided with our Microfluidic Kits & Accessories. Q: What is the difference between the PTFE Tubing 1/16” OD and the Tygon tubing 1/16” OD? These two types of tubing have different advantages and disadvantages: Tygon tubing is more flexible than PTFE tubing, which could result in compliance and increase the response time of the system. On the other hand, Tygon has the sometimes advantageous characteristic of being transparent (PTFE is translucent). Q: Some connectors I have received have different colours to which are shown on the website. Have I received a wrong kit? No, some connectors included on our kits could differ in colour from the connectors used on setups and quick-starts photos on the website, but they have the same functionalities. Q: I opened the package and found out that there is no CD or manual. Are the user guide and the software available online? Our software and manuals are recorded on the Elveflow USB key you receive with your devices. You can also download the latest version of the Elveflow Smart Interface from our web page. Q: Is it possible to have recirculating flow, as in a peristaltic pump? Yes, Elveflow has developed a specific setup for fluid recirculation. If you need detailed information, please check our application note or contact us directly. Q: My flow sensor is showing a long response time / is oscillating around the set flow before stabilizing. You will find “gain” and “integration” values in the “Parameters” menu of your AF1 and OB1 window, under the tab “Flow control”. Increasing the gain will optimize response time, induces more overshoot. Increasing the integration increases response time but reduces overshoot. Q: At which flow rates can my flow sensors work? To know the flow rate ranges please consult the datasheet. Q: Can I control the flow rate of fluids other than water? Yes, you can use the flow sensors with different fluids. However, it is very important to check first the chemical compatibility of the fluid with the devices. Please contact us to check if the fluid of your interest is already included in our database. If it is not, you can send us a sample of your liquid and we will include it. Q: Can I control the flow of a gas? Our devices can control gas flow very accurately, but this gas is used to pressurize a reservoir containing a liquid. Our flow sensors are also suitable to control liquids only. If you need to use our device to control a gas, we can help you find a gas flow meter adapted to your needs and compatible with the Elveflow instruments. Q: What types of gases can I use with my OB1? You can use oxygen, argon, nitrogen and other inert gases such as CO2. Note that some gases may require some adapted side-equipment, such as a fume hood, since some gas is expelled from the device. Q: Can I use particles or cells with my flow sensors? Particles and biological species can be used in the flow sensor. Take extra care concerning capillary sizes to avoid blocking the flow sensors and cleaning protocols to prevent the deposition of material in the capillary. Note that the presence of these elements may affect the measurement of the flow rate. Q: Can I control the pressure of my AF1 with the knob and the software in parallel? No, only one control mode can be used at a time. If the AF1 detects a USB connection, it takes its “set” values only from the software. If you want to control it with the knob, disconnect the USB cable. Q: At which temperature range can I use my devices? The Elveflow devices should be used between 10 and 50 °C. Q: Why do I hear a little noise coming from a reservoir? A noise coming from a reservoir or tubing could indicate an air/liquid leak. Check the involved reservoir, connectors, tubing and replace them if necessary. Q: Can I start monitoring a pressure/flow rate without connecting the output(s) to a reservoir? Yes, the Elveflow® pressure generators/controllers will also work if the pressure outputs are closed or air-opened. Q: When I change the pressure rate on my OB1 (especially when I increase it) I hear a strange noise. Is it normal? Yes, it is perfectly normal. The noise is related to the pressure regulation. Q: My flow sensor seems to be blocked, can I unblock it? How can I prevent it from happening? Flow sensors can block if you flow particles through it or if some material is deposited on its capillary. You can apply high pressure* to your flow sensor in order to unblock it or wash it with a solution of Hellmanex (dilution of 2%, for instance). In order to prevent blocking, wash your flow sensors after use using acetone, followed by isopropanol and dry air. * For overpressure resistance please consult the datasheet. Q: Is it possible to connect the AF1 to the OB1 as a pressure supply? You can use an AF1 model 1600 mbar as a pressure supply, but the performance of the OB1 may be degraded under certain conditions. Note that it can fully work for OB1 channels of 200 mbar but will limit the pressure range for channels of 2 and 8 bar. Q: Why is it important to use a wrench to connect the flow sensors number 4 and 5? Because connecting these flow sensors to the fittings without suitable tools could lead to stress on the internal thin walled glass capillary and cause it to break. Q: With which materials are my fluids in contact? Reservoirs (500 ml): borosilicate glass. Flow sensors: PEEK fittings; quartz capillary (FS1, 2 and 3), borosilicate capillary (FS4 and 5); additional Teflon (FS4) or ETFE (FS5) sealing. Tubing: you can choose tubings and fittings adapted to your application. Q: How do I get rid of air bubbles? A simple technique we recommend to remove air bubbles is to monitor a quick cycle of high pressure (be careful to never surpass the maximum pressure supported by your microfluidic device) and zero pressure. If you are using an Elveflow MUX we recommend to quickly open and close the valves involved in your experiment. If the conditions of your experiment allow it, you can add a small part of surfactant such as Tween 20 or Span 80 to your solution. Q: Why do I receive a message saying that there is no pressure connected to my device when I try to calibrate it? Prior to calibration the controllers detect the presence of enough pressure for it to be correctly calibrated. If you receive this warning message, check the power supply, the pressure supply and verify if the outlets of the device are correctly sealed. Q: Can I show more data in the graph? You can adjust how much data is stored in memory and how much data is displayed on the graph. Click on the “Parameters” icon at the graph window and navigate between the tabs to modify these values. Q: Can I control my equipment without using the Elveflow Smart Interface? AF1s can be controlled via the knob if the USB cable is not connected. You can also develop your own application using the SDK available with the ESI in the download section. Q: Why the display results of a constant flow rate applied are not completely stable? – Foreign bodies or contaminants. – Vibrations or movements applied to the flow sensor. – Determined conditions of the experiment such as droplet generation, etc. Q: What should I do if I have not defined the correct pressure range parameters while connecting an instrument for the first time? What if I want to change the name of my device? In both cases you will need to reset your device. You can find the reset procedure at “Preferences -> Hardware-> Reset”. Q: Is the number of steps limited in a hypothetic project made with the Elveflow Smart Software? No, it is not limited. You can add as much steps as you need. Q: Do I have to clean the flow sensor after use? Why? A flow sensor is a very sensitive device so it is important to clean it after use in order to avoid the deposition of any materials on its capillary. In order to clean it, flow acetone then isopropanol through it. Dry it using dry air and close its ends to prevent dust accumulation. Q: Do I need to use a filter on my pressure controllers? You should always use dry, clean air at the inlet of your OB1, so a filter is not needed. For AF1 Dual Pressure and Vacuum Controllers you should add a filter to its inlet/outlet (on the façade) in order to avoid pumping in any particles or unclean air. Q: What happens if liquid accidentally flows into an AF1 or an OB1? It is very important to avoid having liquids inside the pressure controllers, as it can damage the device and void the warranty. In the case it occurs, immediately unplug the tubing(s) from the outlet(s) of the controller and set it to the maximum pressure. Let air come out from the device for several minutes in order to maximize the removal of fluid. If you notice any problem with your device after this event, please contact Elveflow. Q: How do I clean a MUX? You should first thoroughly wash each valve by flowing deionized water through it, then wash it with isopropanol and use dry air to remove any remaining liquids in the MUX. Once cleaned, you can close the valves with a cap to avoid dust accumulation. The bigger the empty volume you have in the reservoir, the longer it will take to pressurize it. Having a reservoir with little empty volume will improve the response time for your setup. Q: Can I have a stable flow for long periods of time, i.e., for several hours or days of continuous operation? Yes, the Elveflow devices are highly stable and can maintain a stable pressure or flow for long periods. Q: Sometimes there are air bubbles in the microfluidic channels when using a MUX and a Flow Sensor. How do they influence my experiment? The presence of air bubbles will not affect the MUX system. However, they can cause incorrect measurement of the flow reader. Check “How do I get rid of air bubbles?” in the “USE” section for information on how to avoid this problem. Q: What is the resolution I can have with my pressure controllers? The resolution depends on the maximum pressure range of your channel. It is around 0.05% of the maximum pressure for positive pressure controllers and 0.1% for the AF1 Dual Pressure and Vacuum Controller. Q: What do I need to control the flow in my microfluidic chips? First of all you need a pressure source and a pressure regulator to control it. Then you need a reservoir where you can store your liquid and pressurize it. And finally you need tubings to connect the reservoir to the pressure controller and the microfluidic chip. 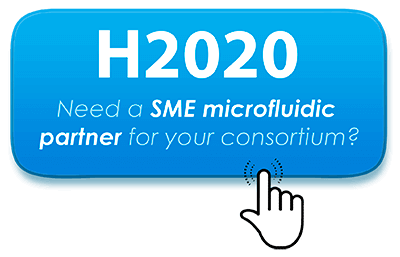 Elveflow has microfluidics specialists that can propose you a complete starting kit adapted to the needs of your projects. Q: What is the difference between the AF1 and the OB1? The AF1 is a pressure generator and controller, which implies that it has an integrated pump and can generate pressure by itself. The AF1 Dual Pressure and Vacuum Controller can also generate and control vacuum. Due to the flow of the integrated pumps, the AF1 has a single outlet. The OB1 is a pressure controller and requires a pressure supply. It can have up to 4 parallel channels with different ranges. The AF1 is proposed in the ranges 0:200 mbar, 0:1600 mbar and -700:1000 mbar. The OB1 is proposed in the ranges 0:200 mbar, 0:2000 mbar and 0:8000 mbar. Q: What is the Mk3 option? Mk3 is the newest make of the OB1, which integrates piezoelectric technology and has the best performances in the market. It also allows to have pressure & vacuum on the same channels, for creating bidirectional flow or positioning objects for example. The OB1 Mk3, our clients’ favorite, has exceptional stability, resolution and response times. Q: How does the MUX work? The MUX series offer solutions for fluid manipulation based on valve actuation. Elveflow was the first company to propose this type of solution for microfluidics. The first MUX was the 4/4 version, which can receive 4 different fluids in its inlets and distribute them independently or in parallel in any of its four outlets. Another version is the MUX 2/2, which can have 4, 8, 12 or 16 on/off valves, so that you can stop the flow in any channel independently. The last version is the MUX 3/2, especially – but not exclusively – designed for the control of Quake valves. It distributes the fluid of any of its 2 inlets to any of its 16 outlets, also indenpendently or simultaneously. Q: Are the devices, reservoirs and tubings compatible with the microfluidic chip I already have? Elveflow can recommend you different configurations. If you already have part of a microfluidic setup, we can propose adaptors to connect it to our apparatus. Q: How much air is consumed by the OB1 when it is not functioning? When the OB1 is shut down but still plugged onto your pressure source, the gas consumption is around 15 cc/min. If you are using a gas bottle, it can be a good idea to add a on/off valve between your gas bottle and the OB1. The gas consumption when the OB1 is functioning can be much higher and depends on several parameters. Q: What is the difference between Elveflow pressure controllers and syringe pumps? Pressure and flow rate are related by a factor called hydrodynamic resistance. An evident analogy can be made with electronics using tension, current and resistance. Syringe pumps control the flow rate by varying the velocity of a piston in a syringe. Elveflow instruments work on the pressure difference between inlets and outlets of a microfluidic chip. It adjusts the pressure in a reservoir so that the force pushing the liquid in it is controlled. Response times and stability are highly in favor of pressure controllers. Q: Can I choose the flow rate using a pressure controller? Yes, using flow sensors which can be coupled to the pressure controller and are in series with your liquid flow. Our MFS series proposes flow sensors in a large set of operation ranges. In the Flow Control mode, the Elveflow Smart Interface automatically adapts the pressure in the reservoirs in order to obtain the flow rate you choose. Q: Can I purchase your products from my country? In order to propose top quality equipment at the best price and to ensure personalized and professional customer services we prefer to commercialize the Elveflow products through our proper internal distribution services. To our European and not European clients we send our devices directly from France. Q: What is your standard processing time (from order to shipment)? The processing time is usually around six weeks. An estimation of the delivery date will be available on your invoice. Q: Can you give me the contact information of some of your clients? Sure! Some of them left their testimonial in our website, together with their personal webpage where you can find the contact info. We can also contact clients who work in a similar field to yours to see if they are willing to discuss with you about us. Q: Can I have a demo? We would be happy to receive you at Elvesys and make a live demonstration of our equipment! We will prepare in advance a setup very similar to yours and we will have it ready to run when you arrive. Our team of microfluidics experts will join the discussion and can add very interesting ideas to the project we will develop together. Q: What if the configuration I purchased is not adapted to my applications? You can send your device back to us, together with our document attesting that the good conditions of use were respected. We will adapt the device to your new requirements and send it back to you. Note that there might be material and service charges involved and that the shipping costs are at your expense. To learn more about the job opportunities currently available in our microfluidic company, click here.